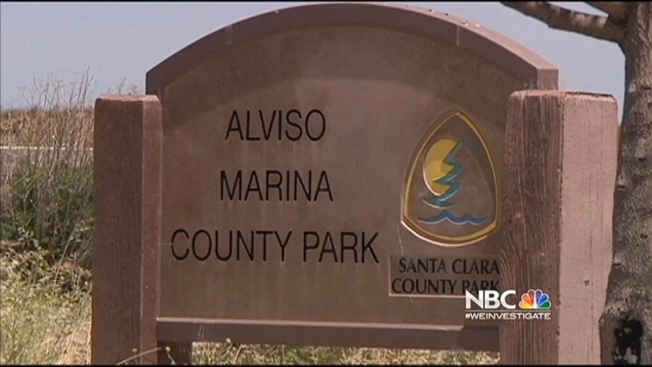 Rescue boats from the San Jose Fire Department and other agencies are in the process of recovering a body reported floating in a creek near the Alviso Marina Saturday morning. According to San Jose fire Capt. Rob Brown, a kayaker reported seeing a body in the water at about 10:15 a.m. in the channels north of Alviso Marina County Park. A Cal Fire helicopter was able to visually confirm the location of the body at about 11:46 a.m., and rescue boats were deployed to the area one mile east of the Alviso Slough in Coyote Creek. Brown said that in addition to San Jose, Fremont and Alameda County fire crews, the Santa Clara County Sheriff's Department, U.S. Fish and Wildlife Service, and the Santa Clara County Park Service are also at the scene. It is unclear at this time which jurisdiction will be responsible for the investigation. That will be determined once the body has been removed and the exact location of the incident is confirmed, Brown said. The victim has been identified as male, but no other identification has been made, according to Brown. Authorities are still trying to determine if the person was killed or died by accident. "We have the rescue boats out there with the body, and we are just trying to see what the best access would be for law enforcement to secure the crime scene," San Jose fire Cpt. Rob Brown said. "Until they can make a determination on a cause of death, naturally, it’s going to be considered a crime scene." Emergency officials said they do not know how long the body has been in the water and would not comment on its condition. The body of water is a popular spot for fishing boats and kayaks. Alviso Marina County Park is located at the southern end of the San Francisco Bay adjacent to the salt ponds and marshes of Don Edwards San Francisco Bay National Wildlife Refuge.